Lately I’ve been thinking about the narratives we use when we talk about public health. 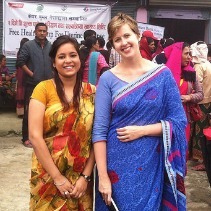 On July 4th & 5th, Care Women Nepal held its 3rd uterine prolapse screening camp. A week or two ago, a nurse at the local hospital told me a story.